Circumstances Don't Equal Happiness. Lessons From the Volcano. Time to read: Another one clocks in at 1.5 minutes. I'm on a roll! I was listening to a radio report about the volcano eruption in Hawaii. First, let me say that my heart goes out to the many people who have lost homes and farms. The destruction is devastating. As I was listening to the report, I was struck by one particular story. A retired school teacher (let's call her Sally) reported feeling heat under her home and receiving an "evacuate immediately" notice from the emergency response team. Sally grabbed her two dogs and a bag of dog food and left thinking she would come back in the morning to retrieve her laptop and other important possessions. 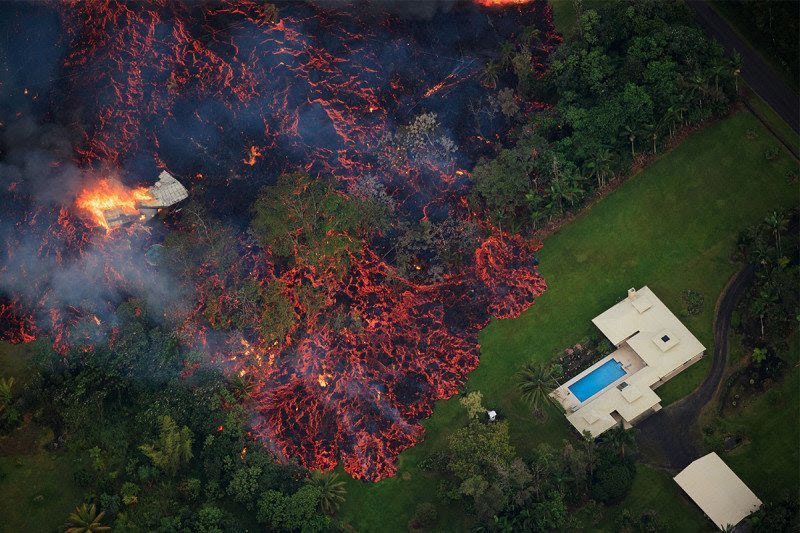 When Sally went back the next morning, her entire home was covered in a wall of lava. All her worldly possessions were gone. I expected tears. I expected anger. She explained her circumstances something like this, "When you choose to live in a volcanically active place, you take the risk of this happening. It's a good thing I do a lot of yoga. I have insurance and instead of staying here, I'm going to use this as an excuse to move closer to my children in California." She even laughed. Wow. Life is a choice. Sally chose to live in Hawaii and therefore chose the risk. You choose to go to your job every day, whether you love it or hate it. You choose where you live. You choose who you spend your time with. Your reactions are a choice. It would be pretty natural for Sally to be devastated and angry. Instead she was optimistic and cheerful. Even in the midst of grief and loss, you can choose to fill your reaction with blame or with the pure experience of your human emotions including grief and anger. Take care of yourself. Sally does yoga. Taking care of your mind and body enables you to be resilient when things go awry, in little daily ways or in big ways like a lava wall. Focus on what's important. Sally grabbed her dogs. Hard circumstances are clarifying and point you swiftly and with precision toward what is important and what is not. Guard your sense of humor. Sally was laughing at her belief that she would return the following morning. She laughed that she saved a bag of dog food rather than her expensive new laptop. This is not to say that you must laugh or always look for the silver lining in tragedy. Levity, though, enables you to carry hard things lightly. You are never as stuck as you sometimes believe you are. P.S. 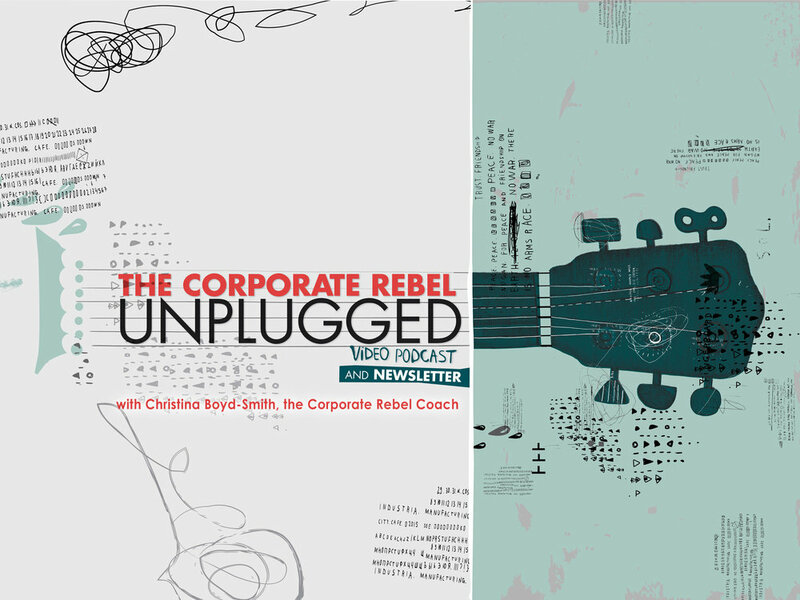 If you love the Corporate Rebel Unplugged Video Podcast and Newsletter, please share it with your friends and colleagues. They aren't stuck either. They can join us here.